The coverage of the Tax, Transparency and Trade “Three T’s” agenda for the G8 over the past few days has been excellent. On my twitter feed I’ve seen many commentators, Non-Governmental Organisations and others welcoming the outcomes. As a civil servant, I know that my fellow colleagues have worked really hard behind the scenes to prepare for the G8 Summit and consider the various inputs from other governments, NGOs and others on the substantive issues. And that’s because when designing a summit, event or any other conference, there are two routes you can take. The traditional route consists of sending invitations to governments, working through diplomatic channels to ensure that governments attending know what to expect and what is on the table to discuss and agree, and making sure the logistics are in place for VIPs to make speeches and announcements. There may also be a number of “side events” where other interested parties can showcase their work, bring government representatives onto panels to push them to take more action and/or discuss their announcements, and so on. This route does take a good deal of careful preparation and negotiation, and it is fairly well trodden – I saw it used countless times during the years I spent working on UN climate change negotiations, and I still see it. But there is another less traditional route that civil servants are increasingly taking to design summits and events which is also delivering results. This route draws inspiration from dynamic conferences such as TED talks, or from global trends such as crowd-sourcing. Importantly, this route reflects a genuine need to better include the public in international debates and agreements rather than leave them to small cohorts of experts or diplomats. 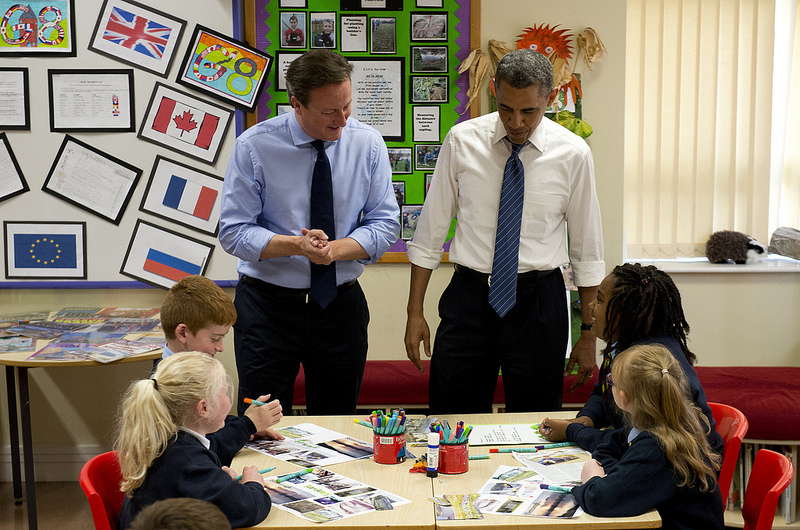 This more creative and inclusive route was taken by the G8 teams this year. For example, one of the teams, focused on transparency in oil gas and mining, began building momentum well before the final event. They worked with the Open Knowledge Foundation to run a “data expedition” in London in April with key partners such as the Revenue Watch Institute, Publish What You Pay, and many more in order to start the conversation. Through this, the #followthedata brand was born. They then organised a “hackathon” in London in May, and another in Lagos. A hackathon is when a group of data analysts, economists, civil society representatives and journalists come together to develop new ways of showing or manipulating information to provide some sort of benefit. In this case, the hackathoners came up with five data tools or demonstration “apps” that can all be viewed here. One Lagos group built ‘Atare’ to help citizens understand the purchasing power of oil revenue, relative to their real life needs. Users are able to email infographics to national representatives, and share them via social media. A few weeks later, the team organised a further #followthedata event in the margins of the Extractives Industry Transparency Initiative (EITI) conference in Sydney, which attracted 130 people – mostly from governments, civil society and companies. This built further momentum for a major announcement in the margins of yet another multi-stakeholder conference held in France on 21st May, where the UK and France both announced their intention to implement the EITI. By the time the “Open for Growth” trade, tax and transparency conference came up last weekend, a twitter hashtag was ready (#G8TTT), and world leaders took this opportunity to announce a range of new initiatives to improve transparency and take bold steps on open data before the actual G8 deal was done on Tuesday. Being creative and inclusive was also something important to the teams working to support the UN High Level Panel to deliver their report on a post-2015 framework for development goals last month. They used tools like My World to understand the needs of people from all over the world, and organised various webcast “town-hall” meetings and “regional consultations” to discuss the major issues openly. I think this kind of creative and inclusive route is something the Global Partnership for Effective Development Cooperation should also consider as it builds up to and delivers its first major summit. I bet that there will be no shortage of partners to work with to do so. Delivering a 21st century summit means to truly and creatively open up – I hope we do so quickly!